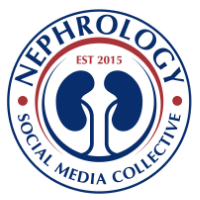 Nephron Power: TOPIC DISCUSSION: PCO2, which one is better? Ever wonder what Pc02 represents and which one is better? We use Pc02 as a maker of the buffering system for the H+ load in our body. Which Pco2( arterial, venous, capillary or skeletal muscle venous) is the most accurate in predicting how our buffering is working? Arterial Pc02 is what the brain PCo2 is closest to. Its the minimum requirement for the cells to function. The PC02 in the venous blood will be higher as it has been through cells and there was the process of extration of oxygen in hence PC02 will increase. The capillary Pc02 is going to be higher then the arterial one as again , you are closer to cells that will use Oxygen and Co2 production is higher. The capillary PCo2 reveals the buffer system has operated efficiently in the vast majority of the intracelleular and extraceullar compartments. But the PCo2 in the skeletal muscles (venous) is of most importance. Since these are heavily used areas of the body, the HCo3 production is the most in these areas and if there is a place where the buffer system can be tested, it is this compartment. PC02 hence either in the brachial or femoral veins would be best Pc02 to check for the maximum buffering our body can do. So for instance in a state of shock, the ECF is contracted and each cell is extracted the maximum oxygen you can. In that circumstance, the venous pc02 will be higher than arterial pc02 but the venous skeletal muscle will be even higher. The goal of the hydration then should be to not have more than 10mmHg difference in the skeletal venous PCo2 and arterial Pco2. In other words, the skeletal muscle venous PC02 is an excellent marker of volume status. The book Fluid , Electrolytes, and Acid base physiology by Halperin, Kamel and Goldstein has more details on this topic. good post.. are there any clinical studies done which make a note of this? ( femoral or brachial vein Co2) as a marker of volume status..